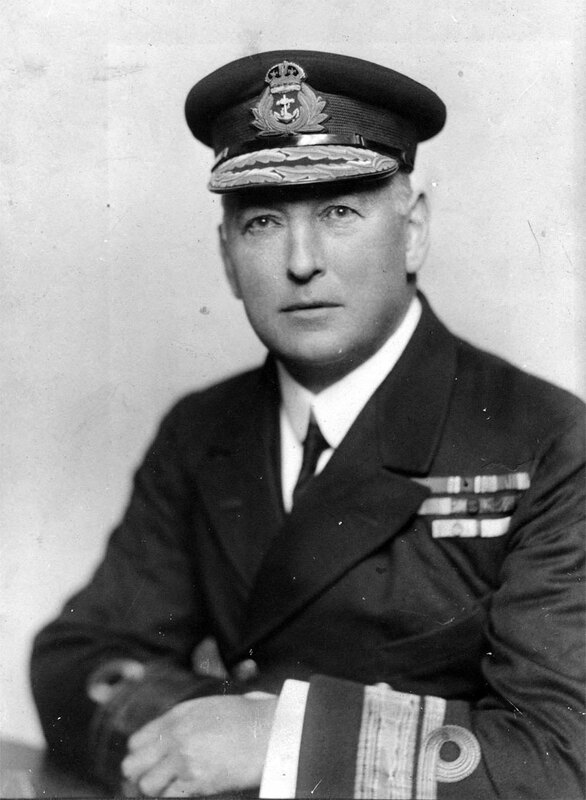 Rear-Admiral Sir Murray Fraser Sueter. 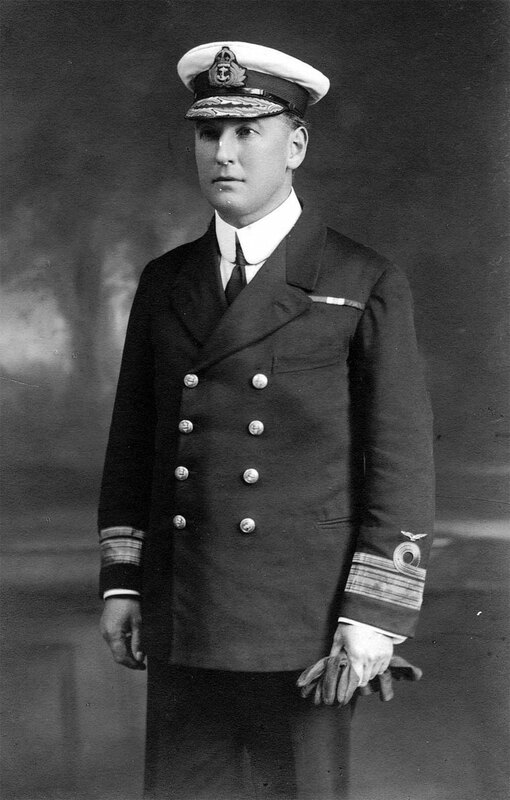 Sir Murray Fraser Sueter (September 6, 1872 in Alverstoke – 3 February 1960 in Watlington, Oxfordshire) was a Royal Naval officer who was noted as a pioneer of naval aviation. Coming from a naval background he entered the Royal Navy as a cadet on Britannia in 1886 before serving as a midshipman with HMS Swiftsure. After becoming a Lieutenant in 1894 he became a specialist in torpedo warfare and served HMS Vernon and HMS Jupiter in this capacity. With this experience Sueter moved over to Reginald Bacon's submarine tender HMS Hazard in 1902 where he distinguished himself in aiding stricken crew members. Sueter's book, The Evolution of the Submarine Boat, Mine and Torpedo (1907), was a consequence of his close work with submarines in this capacity. He married Andrew Clarke's daughter Elinor Mary de Winton in 1903, a year before his promotion to Commander (he was made a captain in 1909). Sueter's technical skills saw him brought in to the naval ordnance department of the Admiralty and in 1909 he supervised the construction of airship Mayfly, a new avenue of naval development. As inspecting captain of airships he oversaw the failure of the experiment but was nonetheless given command of the Navy's Air Department in 1912. In this role he oversaw the creation of the Royal Naval Air Service (RNAS). The first man actually to fly on British sea-water in an aeroplane appears to have been Commander Oliver Schwann, R.N., and the credit for building the first successful water-flying machines apparently goes to the Short brothers at Eastchurch. British sea-flying on the Service side is closely linked with the names of Captain Murray Sueter, and the Indomitable four, Lieut-Commander Charles Rumney Samson, Lieut. Reginald Gregory and Lieut. Arthur Longmore, all of the Royal Navy, and Lieut. Louis Gerrard, R.M.L.I. From the very first the efforts of the small band of enthusiasts who tried to establish Service sea-flying met with suspicion and even direct opposition. Sueter continued his aerial innovations during the early stages of World War I including the launching of torpedoes from aircraft and in 1915 he was promoted commodore first class and appointed superintendent of aircraft construction. He promoted the use of armoured cars for the defence of airfields in France, after the stalemate of the trenches developed the cars would be sent to Russia and Egypt. His interest in the armoured car led to involvement in tank development. Later he clashed with the Admiralty and was posted to command the RNAS in Italy. A letter to King George incurred the displeasure of the Sea Lords and he was relieved of command. He was given no work from 1918 to 1920 when he was retired as a rear admiral. After his naval service he became worked with airmail provision and published a number of books, notably Airmen or Noahs (1928) an autobiography and critique of current naval practices and The Evolution of the Tank (1937). He was knighted in 1934. After his naval service Sueter entered politics as a member of the Anti-Waste League and was co-sponsored by them and the Independent Parliamentary Group for the Hertford by-election, 1921 which he won. He went on to join the Conservative Party and contested the 1923 general election for them, winning election in Hertford. He went on to hold the seat until his retirement in 1945. During the 1930s he was also an active member of the Anglo-German Fellowship. This page was last edited on 20 August 2018, at 07:07.